Solution for can you escape 2 level 8 walkthrough – How to solve the puzzle logic by using items, numbers and symbols all around the room to pass for the next floor. This entry was posted in can you escape 2 and tagged can you escape solution on December 16, 2013 by 100doorssolution. Cheats for can you escape 2 level 7 walkthrough – How to solve the puzzle logic by using items, numbers and symbols all around the room to pass for the next floor. 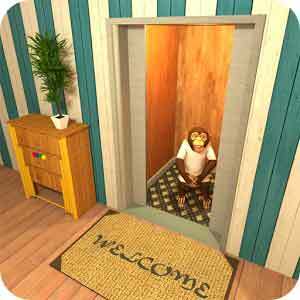 This entry was posted in can you escape 2 and tagged can you escape 2 cheats on December 16, 2013 by 100doorssolution. Answer for can you escape 2 level 6 walkthrough – How to solve the puzzle logic by using items, numbers and symbols all around the room to pass for the next floor. This entry was posted in can you escape 2 and tagged can you escape 2 answer on December 16, 2013 by 100doorssolution. Answers for can you escape 2 level 5 walkthrough – How to solve the puzzle logic by using items, numbers and symbols all around the room to pass for the next floor. This entry was posted in can you escape 2 and tagged can you escape 2 answers on December 15, 2013 by 100doorssolution. Cheat for can you escape 2 level 4 walkthrough – How to solve the puzzle logic by using items, numbers and symbols all around the room to pass for the next floor. This entry was posted in can you escape 2 and tagged can you escape 2 cheat on December 14, 2013 by 100doorssolution. Guide for can you escape 2 level 3 walkthrough – How to solve the puzzle logic by using items, numbers and symbols all around the room to pass for the next floor. This entry was posted in can you escape 2 and tagged can you escape 2 guide on December 14, 2013 by 100doorssolution. Solutions for can you escape 2 level 2 walkthrough – How to solve the puzzle logic by using items, numbers and symbols all around the room to pass for the next floor. This entry was posted in can you escape 2 and tagged can you escape 2 solutions on December 14, 2013 by 100doorssolution. Cheats for can you escape 2 level 1 walkthrough – How to solve the puzzle logic by using items, numbers and symbols all around the room to pass for the next floor. This entry was posted in can you escape 2 and tagged can you escape 2 cheats on December 14, 2013 by 100doorssolution.